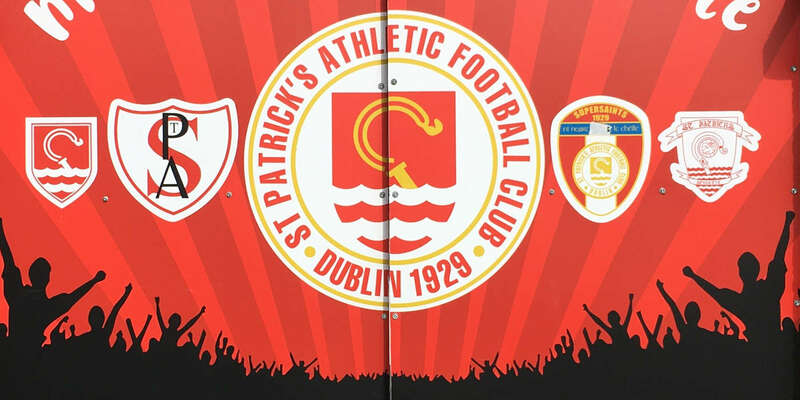 St Patrick's Athletic were eliminated from the UEFA Cup at the RDS following a 0-0 draw against Hertha Berlin. The German side progressed thanks to their 2-0 home win a fortnight ago. 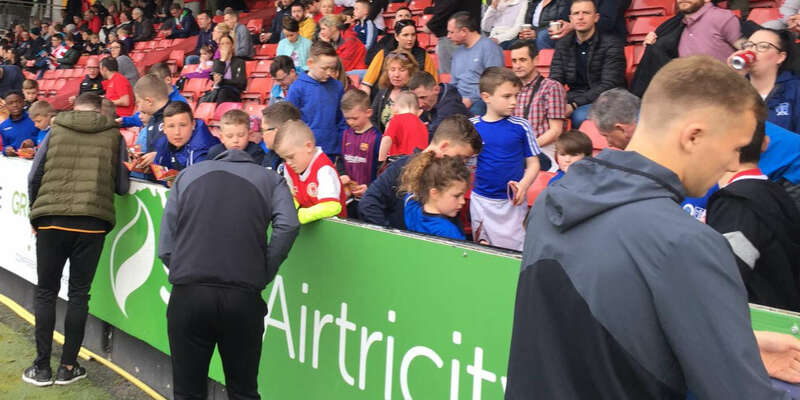 The Inchicore side have a lot to be proud of however, as they put in an excellent performance and had several chances to claw back that two-goal deficit. Gary Dempsey went close in the first half, while Keith Fahey and Dempsey both struck the upright in the second half. Damien Lynch was dismissed late on. Andriy Voronin broke free through the middle after two minutes and had a shot into the Simmonscourt Road-end goal, but Pat's goalkeeper Barry Ryan saw the danger just in time and got a hand to the ball. Voronin had another chance to open the scoring for Hertha on 12 minutes but sent his effort wide. Pat's were awarded a free-kick on the right on 16 minutes which was taken by Fahey. It wasn't up to his usual high standards however, and was easily dealt with by the Hertha defence. Pat's had a chance to get on the scoresheet on 31 minutes, but the chance came to nothing. Hertha goalkeeper Jaro Drobny palmed away a Dempsey effort at the near post and Dempsey then hit the rebound into touch. Mark Quigley broke free on the left on 38 but shot wide, though he had already been flagged offside. As heavy rain fell just before the interval, Alan Kirby found himself in possession on the right wing. With Hertha defenders closing in, he played the ball to Fahey in the centre but the Tallaght man blasted high and wide. Hertha started off the second half in blistering form and Santos struck a tremendous shot on 47 minutes but Ryan was well placed and made a fine save. On 52, Voronin wasted a perfect chance to put his side ahead but miscued his shot and sent the ball high into the back of the Anglesea Road stand. Pat's should really have been in front on the hour mark following an exciting passage of place. Firstly, Fahey struck the left-hand post and the ball rebounded out to Ryan Guy who fired the ball wide. Pat's put together another series of excellent passes on 68 minutes in a move involving Quigley and Dempsey, but when the ball fell to Guy on the right of the area all he could do was lash it at a Hertha defender. On 73 minutes, Dempsey swung in an inch-perfect cross from the left but it managed to sail over the heads of Quigley and the advancing Drobny. 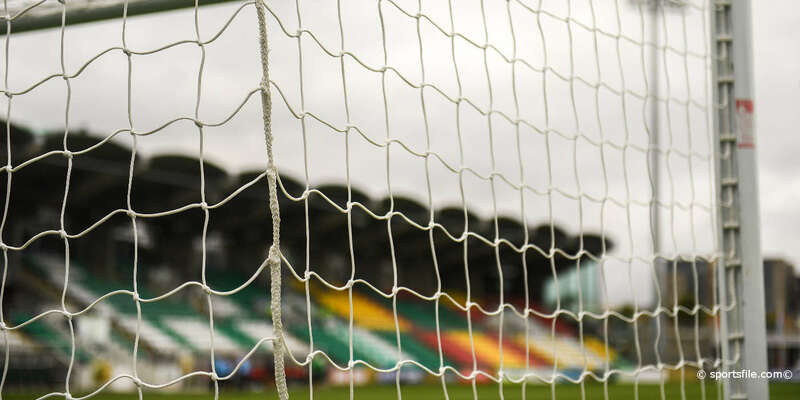 The ball then went out for a corner and from the resulting kick the ball fell to Dempsey who hit the same part of the same post Fahey had hit earlier. Pat's made a double substitution late on, with John Murphy and Derek O'Brien coming on for Kirby and Glen Fitzpatrick but it didn't do the trick, while Lynch was sent off on 86 for a second yellow card as the dream fell apart. 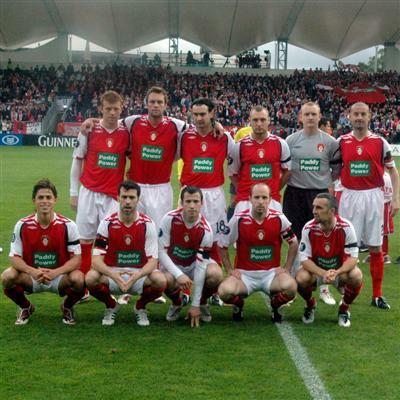 St Pat's bow out of Europe with a fine record of played six; won three, drawn two and lost one.